Canine distemper is a serious viral infection that can be transmitted in several ways. This is a guide about, "How is distemper transmitted?". Question: How is Distemper Transmitted? My mom has a puppy with distemper and my daughter and I have been around him. We are planning on getting a puppy in a few weeks, but now I'm worried that our puppy might get infected. What should we do? It is spread by contact with the infected dog's blood, saliva or urine. It can also be spread through the air by a sneeze or cough. It can also be spread by shared food/water dishes. I would keep my new puppy away until it was vaccinated. The Canine Distemper Virus can be transmitted through the urine and feces of infected dogs, but the primary method of transmission is through airborne viral particles breathed in by the dog. 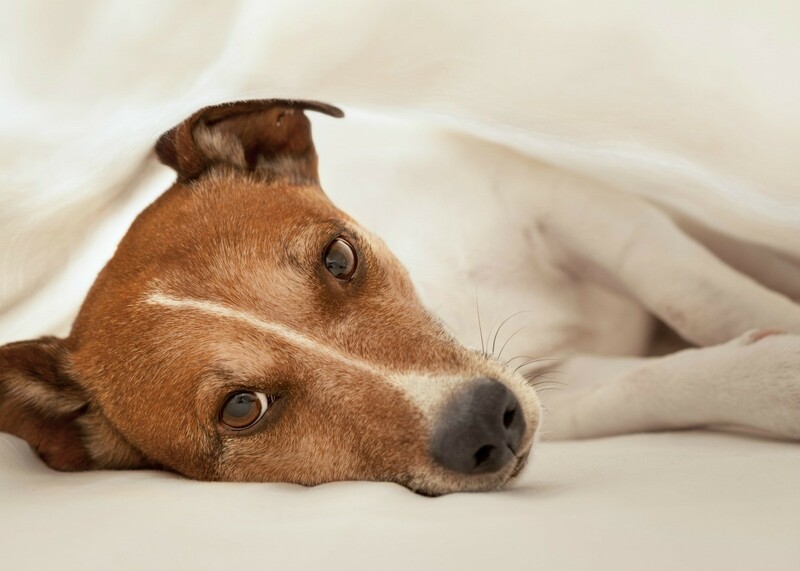 Dogs in the recovery phase of the disease may continue to shed the virus for several weeks, although once they are fully cured, the danger of infecting others is past. The CDV virus is susceptible to most disinfectants, so routine cleaning of the living quarters of infected dogs will minimize the spread of the disease. Humans can contract an asymptomatic CDV infection, but if they have been immunized against measles, they are protected from CDV as well. yes, definitely keep the poor sick puppy quarantined, and make sure to clean up very well after all possibility of exposure is eliminated. I have read that you should dispose of everything that the sick dog had - toys, dishes, etc - and that the rest of the house should be cleaned thoroughly with Lysol, or 20% bleach/80% water solution. Many folks say that 1 month is sufficient time for the virus to be not effective, but some advocate waiting up to a year before introducing a young dog into the home. Vaccinations of course should prevent the new dog from getting it. distemper is passed thru body fluids but also can pass with dropplets in the air....if a dog coughs etc. near another dog.